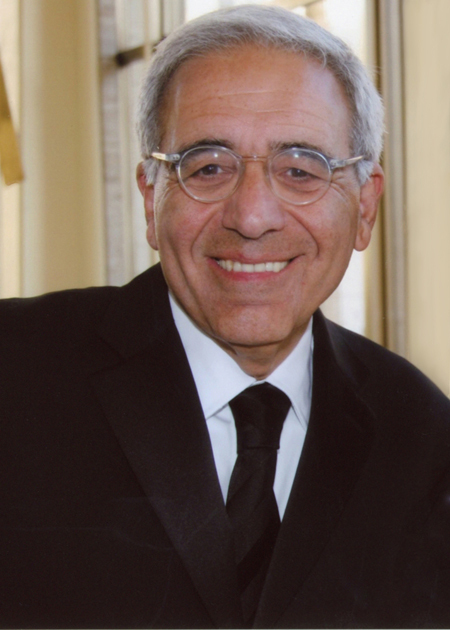 Reynold Levy is currently a Senior Advisor to the privateequity firm, General Atlantic, Adjunct Professor at Columbia University’s School of International Affairs, a consultant to nonprofit institutions and foundations and a Director of First Republic Bank. His fourth book, They Told Me Not To Take That Job: Tumult, Betrayal, Heroics and the Transformation of Lincoln Center, recently published by Public Affairs, is now available wherever books and e-books are sold. Levy is the chairman of the board of the Charles H. Revson Foundation, a member of the board of overseers of the International Rescue Committee, a member of the Council on Foreign Relations, a trustee of the National Book Foundation and a Fellow in the American Academy of Arts and Sciences. In 2014, he was elected to serve a three-year term as a member of the Tony Awards Nominating Committee. His leadership at Lincoln Center continues a distinguished career of public service. He has been President of the International Rescue Committee, the senior officer of AT&T in charge of government relations, President of the AT&T Foundation, Executive Director of the 92nd Street Y, and Staff Director of the Task Force on the New York City Fiscal Crisis. Levy has authored three other books, Nearing the Crossroads: Contending Approaches to American Foreign Policy (1975,Free Press of MacMillan), Give and Take: A Candid Account of Corporate Philanthropy (1999, Harvard Business School Press) and Yours for the Asking: An Indispensable Guide To Fundraising and Management (2008, John Wiley and Sons). He has written extensively and spoken widely about philanthropy, the performing arts, humanitarian causes and issues, and the leadership and management of nonprofit institutions. Levy has also held the post of Senior Lecturer at The Harvard Business School and has taught law, political science, and nonprofit management at Columbia and New York Universities and at The City University of New York. Levy has received honorary degrees from Dickinson College, Macaulay Honors College of The City University of New York, Fordham University and Hobart College. Levy has served on the Boards of several dozen nonprofit organizations including The Independent Sector, The Peterson Institute for International Economics, the Manhattan Theatre Club, and the Nathan Cummings Foundation.